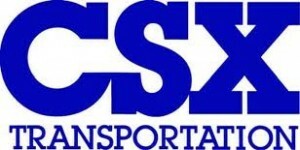 From Jacksonville, Fla., after Tuesday’s market close came the quarterly earnings report for rail transport company CSX (NYSE: CSX), which announced its Q2 earnings per share at 49 cents, which was 3 cents better than estimated, but revenue of $3.01 billion (flat compared to a year ago) missed estimates by $40 million. Shares in CSX dropped 0.5 percent immediately upon release, and were down another 1.5 percent in early Wednesday trading to about $22.40 per share. The company announced its EPS was 7 percent better than in Q2 of 2011 and its net earnings of $512 million was 1.1 percent better than in the similar quarter in 2011. This marked the 10th straight quarter of year-over-year growth for the company, said CEO Michael J. Ward, and the company’s operating ratio stood at 68.7 percent, a 0.7 percent improvement year-over-year and keeps the company on its track of reaching a 5-percent operating ratio by 2015. Like other freight-hauling companies and industries, the news may seem generally positive, but it hasn’t gone over well in the markets, with the devil in the details suggesting that the economy is still sluggish and the numbers aren’t where analysts like them to be. Jim Simons’ Renaissance Technologies and Jeffery Vinik’s Vinik Asset Management are two hedge funds who were well invested in CSX at the end of Q1, and both had improved their stock holdings in the company during the quarter. Renaissance was invested $47.4 million in the company after raising its stock stake by 34 percent, and Vinik was in for $42.7 million after upping its interest by 23 percent.